Our friends over at Qubic Games are having a huge sale on some of their Switch games for as little as $1 a game! That’s not all though. They are also hosting a huge giveaway with a grand prize of $250 in Nintendo eShop credit and twenty $50 Nintendo eShop cards up for grabs. We’re launching a super sale from Friday 24 August where 7 of our Nintendo Switch titles are at only $1 each (around 80% discount for most titles). 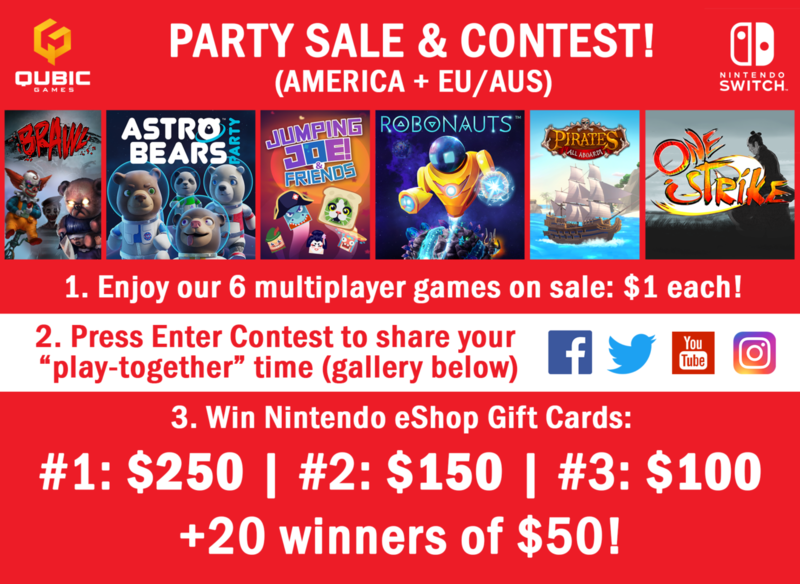 As 6 of them offer multiplayer, we celebrate this sale with a “Play-together Contest” lasting 10 days, with 20 winners of a $50 eShop Gift Card and 3 best prizes (up to $250). Be aware already that we will select some winners every 2 days, so there’s no time to wait to participate! You can participate by using the following link.